It’s the season for itching and sneezing! 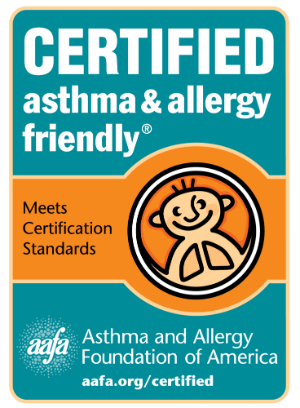 If you live in one of the top 2019 Spring Allergy Capitals, use AAFA’s tips to reduce your suffering. More than 50 million Americans are living with nasal allergies and about half of those are due to seasonal allergies. AAFA’s annual Spring Allergy CapitalsTM report provides insights into the 100 metropolitan cities where people are most affected by spring allergies. Where Does Your City Rank In Its Region? The 2019 Spring Allergy Capitals also ranks cities by regions to provide a closer look into how each city stacks up against surrounding areas. Where Can I Get More Information About the Spring 2019 Rankings? What Can I Do About My Spring Allergies? Immunotherapy – there are shots or tablets available that are a long-term treatment for pollen allergy. It can help prevent or reduce the severity of allergic reactions. Talk with your doctor before the allergy season begins to discuss which treatment is right for you. Our Spring Allergy Capitals report is an independent research project of AAFA.